Sturdy and practical, the Mini Plus (Model 150+) is designed for anyone with limited space. The Mini Plus has the same dimensions as the Mini. When closed, it measures 31” wide by 21 ½” deep. A wing covering the sewing machine hole when not in use, conveniently flips out to give more space for sewing accessories while working. The knee hole door swings open and latches into the wing for extra support. You can also order an optional side wing to give extra surface area while sewing. This is a sewing machine cabinet with airlift to conveniently raise and lower your machine. When done sewing for the day, lower the machine and flip the wing over the sewing machine hole to create a beautiful, seamless cabinet top. Beautiful base molding and raised panel doors set the Mini Plus a notch above the Mini. The Mini Plus also has an extra storage pocket at the top of the door. This pocket gives you a home for those little sewing supplies - such as rippers, pins, scissors, and tape measures - that tend to disappear if you don’t give them a spot of their own. This sewing cabinet is made with quality hardwood. We offer three distinctive furniture styles – Traditional, Shaker, and Le Chateau. We supply seven standard paint options and nine standard stain options. 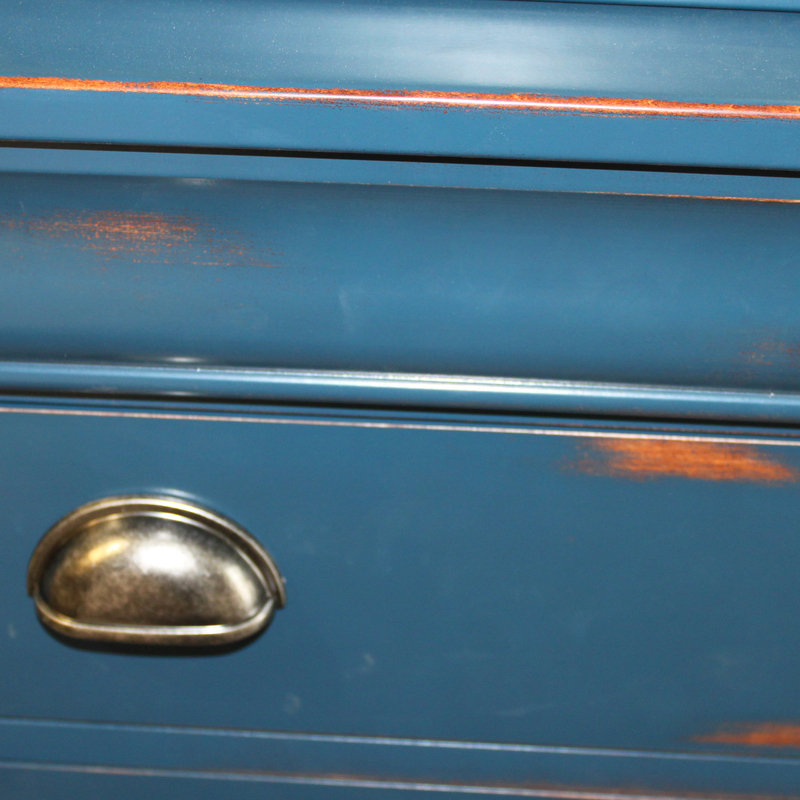 However, if you would like to match paint or stain to other furniture in your house, inquire about our custom matching. We like to hear your sewing cabinet plans. 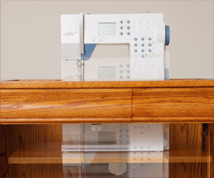 We listen to your ideas and do our best to custom-design a sewing machine cabinet that works for you! • Ask us about customization options for your specific need!